She was trying to hide her melancholy. She was feeling lonely and lonesome. 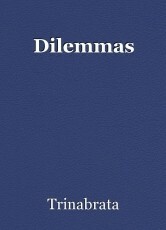 But all such things were dilemmas.